Ever wonder how restaurant rating systems work? Turns out, they vary far and wide to give customers various perspectives on how a restaurant is maintained, operated, and performs. When thinking about restaurant rating systems, the “star rating” probably comes to mind—and this was primarily due to the Michelin Stars rating system. Awarded from 0 to 3 stars, the Michelin Stars rating system is based on anonymous reviews. The reviewers concentrate on quality, mastery of technique, personality, and consistency of the food. The biggest downfall is that Michelin Stars do not take into account the interior décor, table settings, service quality, or even experience. Formally referred to as the Mobil Stars, the Forbes Travel Guide sends out anonymous inspectors to thousands of restaurants across the world and evaluates each based on a criteria sheet of 800+ factors. If you’ve ever wondered what it took to get a “five star rating” on the Mobil Stars system, look no further. This rigorous evaluation takes into consideration the true unique and distinctive dining experience each restaurant has to offer. One diamond: Simple, familiar food at an economical price. Service is limited, often self-service, and surroundings utilitarian. Two diamonds: Enhanced food presentation, such as the use of common garnishes or dishware and a wide selection of familiar or home-style foods. Relaxed service, often family oriented. Three diamonds: Skillfully prepared food, often reflecting current trends, and expanded beverage offerings. Efficient service staff, well-coordinated décor. Often adult oriented. Four diamonds: Distinctive fine-dining. Often a highly creative executive chef, imaginative presentations and market-fresh ingredients. Wine steward often available. Upscale ambiance. Typically expensive. Five diamonds: Renowned, world-class experience. Cutting edge menus, unique food preparation by highly-acclaimed chefs. Maître d’ leads an unobtrusive expert service staff. Read a full article on restaurant rating systems on Foodtravle.com. Start Improving Your Restaurant’s Ratings Today with Uniform, Linen and Cleanup Services! 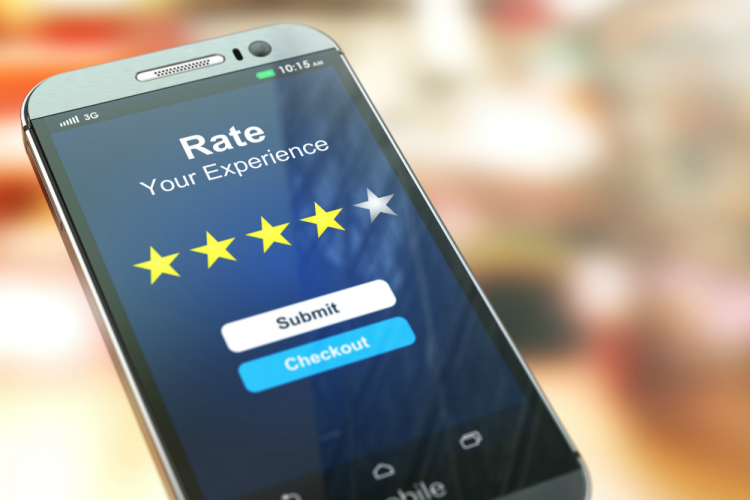 At Uniform Nations, we want your restaurant to receive five stars in the eyes of your customers. We can help you by partnering your business with the best uniform, linen and cleaning service providers in your area! Give us a call at (866) 467-4178, or fill out the form to the right, and we will connect you with local service providers in your area within minutes. Don’t believe us? Give it a try and see for yourself. Calling us or filling out the form to the right comes at no cost and no obligation to you!